SOJ Biochemistry (SOJB) is an international Peer-reviewed, Open Access Publication which gives prominence to advanced research carried out in the field of biochemistry and its interdisciplinary branches. The scope of the journal encompasses understanding the complex chemical nature & structural composition of the biomolecules like carbohydrates, proteins, lipids and nucleic acids and their role in the pathophysiological processes in all living beings. 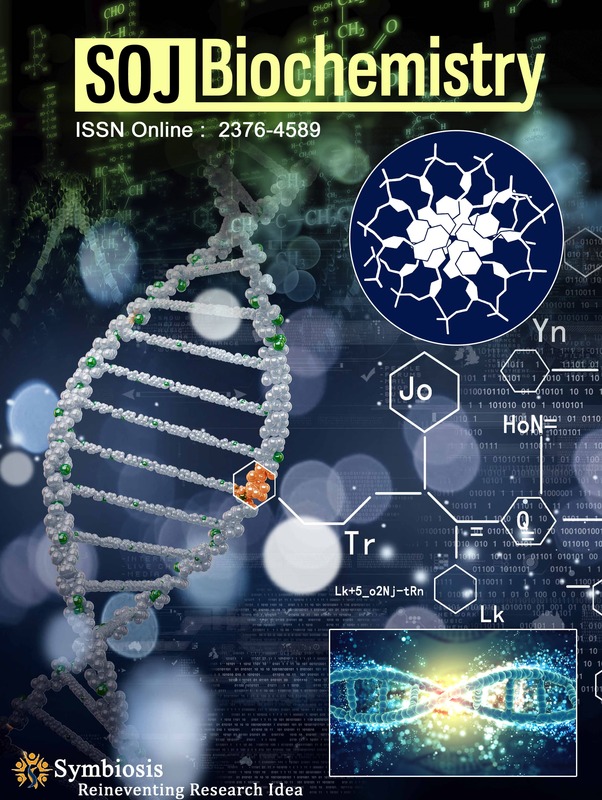 SOJB is a Scientific Journal that aims to solve the enigma of the biochemical processes, the cellular chemistry behind the enzymatic pathways, the energy pathways and the regulatory pathways. Biochemistry is a vast field and it deals with the biochemical mechanisms of all microcellular and macrocellular organisms. Scholarly Articles in SOJB also prominently feature the current or potential industrial applications of biochemistry and its involvement in other applied sciences like genetics, medicinal chemistry etc.